Hiring music entertainment can arguably be the most important booking made for your wedding. Guests remember whether or not they had fun at your wedding. What you pay for is what you get is a good rule of thumb. However, I would like to educate the consumer, future brides and grooms, of how to hire a DJ and things to consider. The following are 9 important factors to consider when hiring a disc jockey BEFORE you sign the contract. 1. Who would be the DJ for your occasion? 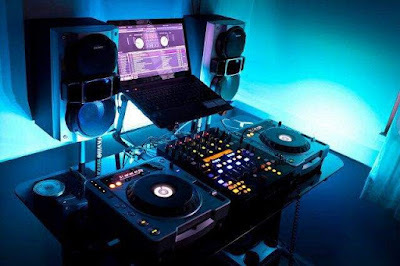 Many DJ companies are a multi-system operation. Be sure to have in writing of who your DJ will be at your event. I would recommend meeting your DJ before hiring the company at a neutral place, like a restaurant. 2. How many years experience does your DJ have with your type of function? Anyone can pretend to be a DJ. If you are having a formal event, does your DJ know how to organize a wedding reception or a grand entrance? The DJ should perform the type of show that you want! 3. Does the DJ get everyone involved dancing or do they just play music? You have to ask yourself if you want a DJ that will get everyone dancing? For example, will the DJ involve guests by playing and conducting motivational dances like the Chicken Dance, Hokey Pokey, Cha Cha Slide or just play music? 4. Will the DJ be dressed appropriately? Formal means tuxedo or dress. Semi-formal means dress pants, shirt & tie or slacks and blouse. Casual means polo shirt or company shirt. Be sure the DJ is dressed appropriately during set-up and takedown of equipment. Some guests do arrive early and stay late. 5. What is the DJ's fee? How much is overtime? Is a tip included in the fee? Will there be an extra charge for lighting-what does the lighting include? How much is travel to your location? Are you ONLY paying for the time the DJ performs? 6. Does the DJ include a contract? Be sure to have all details of your function in writing. The DJ must know the date, place, and time! You must know each other's names and phone numbers including the DAY of the occasion. 7. Is the DJ company professional? This may sound silly, but does the DJ have insurance? Accidents do happen. JBL, Community, Denon, Gemini, QSC, Crown, etc. Always, and I mean always, ask if the DJ has back-up equipment WITH them for your function. Also, be sure the DJ brings the right amount of sound for the number of guests expected. 9. What music do you play? How many music selections will the DJ have WITH them? Be sure your DJ takes requests before and during your function. Also, give them a guideline of what you want played. However, this is what the DJ is paid to do. Don't limit the DJ by saying you want all of one kind of music or a list of 100 songs they must play. The best scenario is to play any type of music that gets people dancing and having fun. By the way, it should be understood the DJ does not play any offensive music.